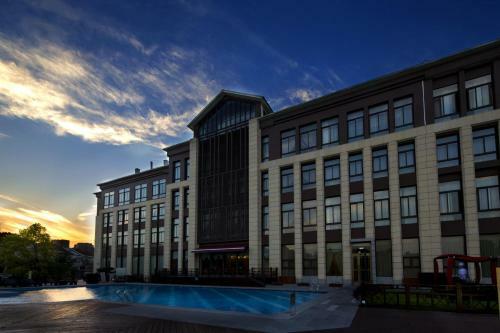 G-Luxe Hongqiao Shanghai is located in Qingpu District, a 10-minute drive from Hongqiao Airport. East meets West, this luxurious property displays paintings and works of art from the Victoria & Albert Museum in London. 5 Stars Hotel G-Luxe Hongqiao Shanghai in Shanghai ✓ HRS price ... Shanghai by Gloria offers a place of rest and relaxation in the pulsing Chinese metropolis.